Hey everybody, I hope you all had great holidays and are enjoying 2012 so far. Team Intestinal Fortitude is back in the swing of things after the Vegas race and have begun our fundraising efforts for this year. We have already had a few meetings to figure every out for the year. We sent out our mass e-mails and mailing lists from last year which had a couple typos on it but we fixed it and apologize for indundating anyone with letters. We have also made a Team Intestinal Fortitude logo which is on various places throughout the website and on the top of our letters. In our first couple meetings, we began by discussing how we are getting more initial support right away this year compared to last. 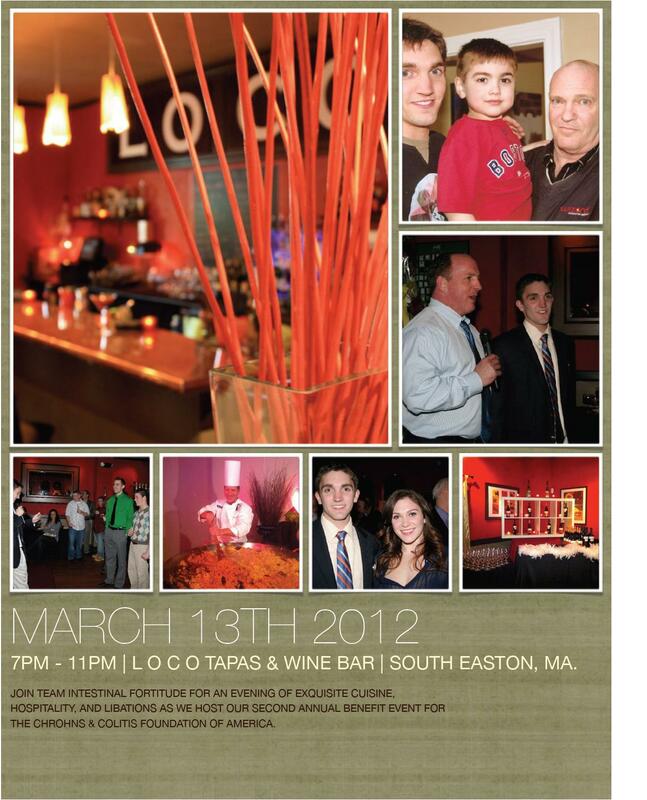 We also have been discussing the second annual L O C O fundraising event a lot. 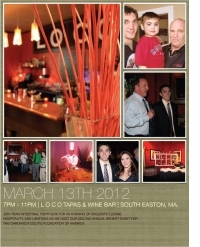 The event is Tuesday, March 13, 2012 at 7pm-11pm. Tickets are on this site under "Buy Tickets" section and the ticket includes food and drink. The event is a mix of a celebration and a way to raise more money. We had great items last year such as sports tickets, vacations and autographs for a raffle and a silent auction and I think this year's items may be even better. We are going to begin going to various area companies and calling others to get as many items as possible. These tickets will definitely go fast as they sold out last year. Right now the L O C O event is the key one for Team Intestinal Fortitude, but we also have a poker tournament in May, which will be the second annual as well. While these will most likely be our big fundraisers, we are brainstorming for a third one in the fall. This year, we will fundraise most of our amount towards the Vegas race as that one was unbelievable this year and had more people for Team Challenge. The younger members of the committee are looking to have a few fundraisers. I have been in contact with Stonehill to have a 5k road race and/or a basketball tournament, which I think would A) hit a different demographic/raise awareness, and B) fundraise a good amount. Committee members, Duncan Payne and Stephen Ivanoski who both go to school in Boston, have also been discussing fundraising ideas which would also get a different demographic involved. Details will follow regarding these events. Team Challenge is also back in action. Team Challenge New England will be having meetings in Boston beginning January 30th-February 8th. Details can be found here: http://www.ccteamchallenge.org/Teams/NewEngland.htm. Training begins in February but there was a reunion run last week at Carson Beach which is a really nice place to run. It was nice to see everyone again and I'm looking forward to this year with Team Challenge. Unforunately, our endurance manager, Alison Rosenfeld, will be departing to take on the new cycling team, which has a 50-mile bike race in New York. Ali was a great help to us, as was Craig Comins who moved from New England director to National director. However, we have a new endurance manager, Alicia Hanifin, who is very positive and enthusiastic about Team Challenge. This week I also officially began my training for the Boston Marathon. I am thrilled this year that my former high school coach, Neil Levine, will be coaching me. I'll be starting light this week by doing 4.5 miles a day with an 8-mile run at 80-85% effort. I know a few of my friends who are doing Boston this year so I'll definitely get to the course as much as possible to train with people. I'm really looking forward to this race and getting in great shape. That is it for now from Team Intestinal Fortitude but I will look to post more consistently now that we are back in action. Be sure to check out the tickets page for L O C O or poker event, donate or support in anyway possible including volunteering or finding people/companies who'd be able to donate prizes for the events. We're off to a great start and are looking forward to having a great year and getting close to a cure for Crohn's and Colitis!! !